A revolution is being organized, and it has nothing to do with occupying Wall Street. Merchant bank Jaguar Financial is calling out Research In Motion’s co-CEOs Mike Lazaridis and Jim Balsillie to either shape up, or get out. The call for change is being backed by RIM shareholders who account for eight percent of the company’s stock – that number could continue to grow heading into next year. The dissent movement is so far an informal group, but according to Reuters, if share prices and market performance continue to struggle, things could turn ugly. I would say that if we are still looking at this stock in this position by the middle of next year then I think there will be a lot more support than just 8 percent, an unidentified shareholder told Reuters. Dissidents are suggesting the company go up for sale, either as a whole or in parts. In addition, shareholders want the company to find replacements for Lazaridis and Balsillie, who are RIM’s top management figures. The unrest stems from RIM’s inability to stay competitive. The company’s devices have largely fallen out of favor with consumers preferring Apple’s iPhone and iPad or devices powered by Google’s Android. 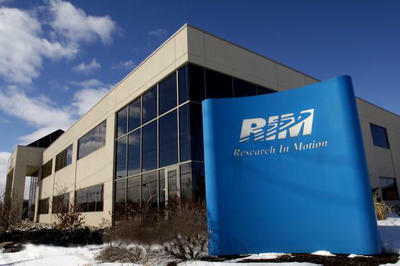 Figures last week showed RIM’s stock was at a six-year low of $18.77 and that the company’s market share had plummeted to nine percent – RIM was at twenty-four percent a year ago. Voices from the unknown shareholders want share prices up in the $40-$60 range – RIM’s shares went for $70.54 on February 18 of this year, but that was before the whole outage debacle, among other things. At this point, members of Jaguar’s informal group don’t know the identities of one another and that no clear objective has been set. Rather, they are united through independent conversations with Jaguar and ultimately want to see a change. There is no collaboration on RIM other than, ‘we support the Jaguar initiative to cause corporate governance change, and to push the company to put itself up for sale or pursue strategic options’, Jaguar Chief Executive Vic Alboini said. Even though shareholders are backing Jaguar, they say there may be hope with another route: QNX. The BlackBerry maker is expected to deploy its new QNX software in the coming months, bringing with it some incredibly lofty expectations. My concern with RIM as a shareholder is the following: they need to step up the pace of getting the word out on what they are doing, said a second shareholder who backs Jaguar. I’m behind Jaguar as a way to put the spotlight on this. Can RIM forget 2011 and regain its market share with the start of a new year? We’d like to hope so, and so would shareholders. The company obviously needs to head on a path where they can once again start to compete with Apple and Google. If not, 2012 may turn out to be even worse.